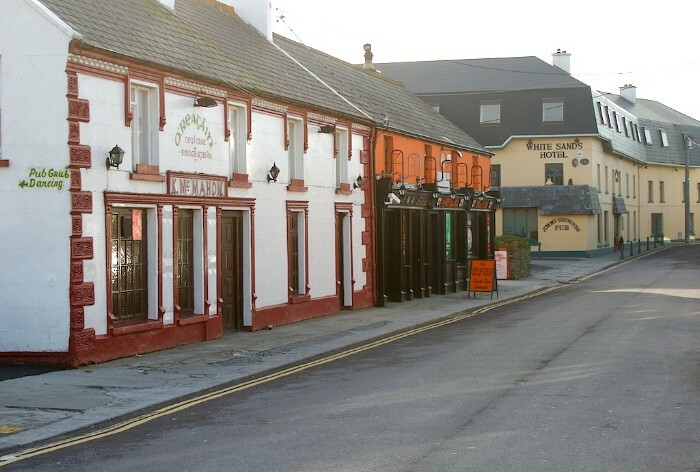 There are five pubs in Ballyheigue village, each of a unique character and vintage. MacMahon's which has a very special and by now sadly fading aspect from Irish life, namely a ballroom, where waltzing, foxtrots and Polkas can be witnessed, partaken in and are lustily celebrated by many of the larger than life local characters. This bar is commonly known as Reagan's. Then there is Kriby's a lively bar which also hosts music on many occasions, as well as darts and other fun activities. Attached to the bar is a Chinese take away and Off License. Flahive's is another very popular bar with an open fire and a heated smoking area in the back, designed throughout in a rich wooden finish. 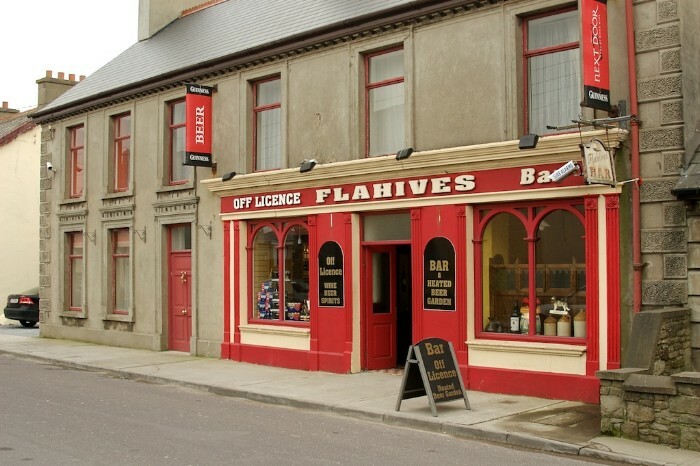 Flahive's also offers an Off License facility. The White Sands which is predominantly an hotel, also has an extensive bar where music and live bands play throughout the summer months. Food is served in the bar as well as in the restaurant, and parts of the large bar extensions can be hired for private functions where a dance floor is also part of the new design. 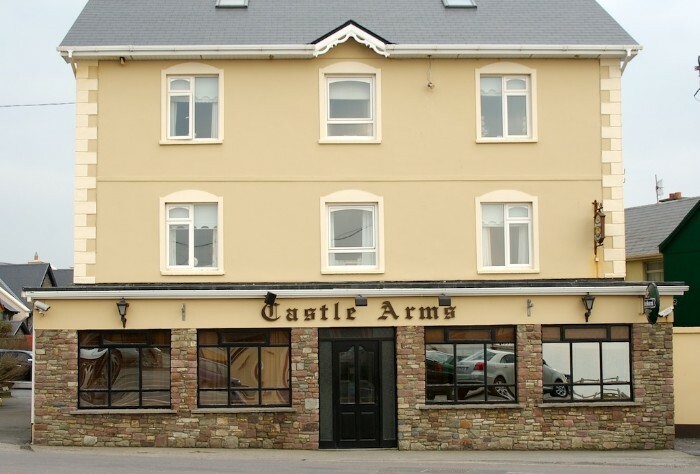 The Castle Arms in the village square hosts sing songs on many occasions, where individuals bring along their Irish instruments and spark up a spontaneous night of fun.